Infamous Robotics will be showing off robot (HEXBUG) insects at the Smithsonian National Museum of Natural History Insect Zoo, April 7 at a family event to highlight National Robotics Week. Children are encouraged to play and explore how robots can be both fun and serious science. National Robotics Week is important as it raises awareness about robotic engineering and exposes children to math, science, and engineering in a way that is exciting and relevant to their lives. Irresistible robot HEXBUGs will be on hand April 7 at the Smithsonian National Museum of Natural History to highlight both fun and serious engineering in celebration of National Robotics Week April 6-14, 2013. The public is invited to this event organized by Arlington, Virginia-based Infamous Robotics and hosted by the Smithsonian National Museum of Natural History. The event is one of many taking place across the country for National Robotics Week. It is designed to inspire children, and children at heart, about robots and how advances in robotic engineering are shaping society. The April 7, 2013 event, 11 a.m. -1 p.m. at the Smithsonian National Museum of Natural History Insect Zoo, located on the museum’s second floor, will feature Innovation First International’s robot HEXBUGs. Visitors will have the chance to interact with the robots and then compare them to real life insects. Innovation First International, makers of educational robotic bug kits and the popular HEXBUG are donating bugs to the event for everyone to play with. Kids are naturally curious about science and nature. 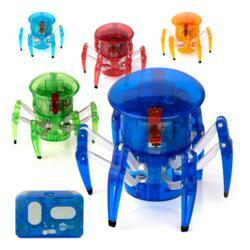 The combination of robots and bugs are irresistible and show kids that science can be fun. Anthony Nunez will be on hand at 11:30 showing off the robot bugs and available to speak to the public about robotic engineering and how to involve children in this exciting field. For more information about National Robotics Week and events happening across the U.S., visit http://www.nationalroboticsweek.org/. 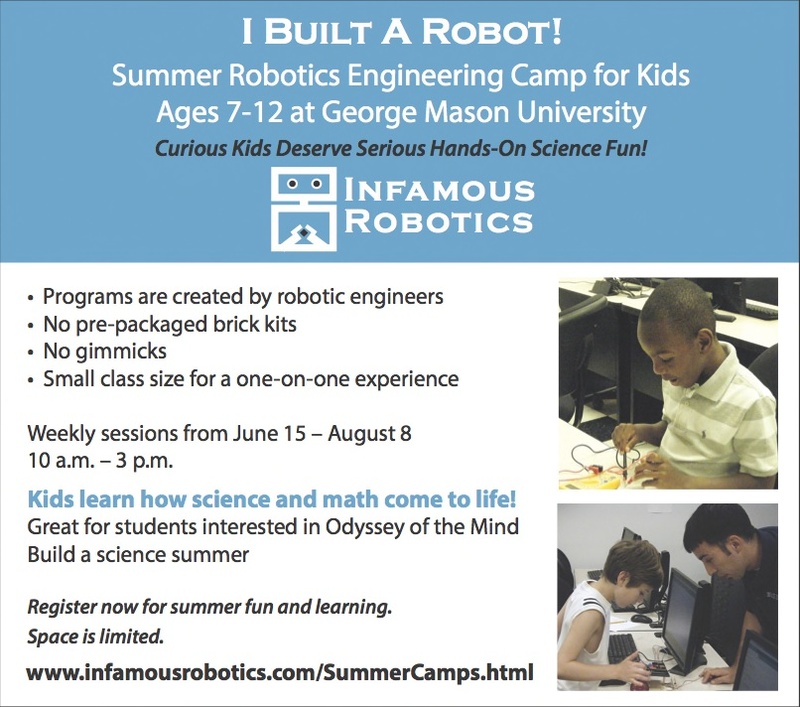 For more information on Infamous Robotics and their educational camps and programs, visit http://www.infamousrobotics.com/. Infamous Robotics, LLC based in Arlington, Virginia is the Metro Washington, DC coordinator for National Robotics Week. Infamous Robotics conducts Robotics Education and Robotics Research and Development. Utilizing curricula it has developed, the company successfully educates children about robotics and the related S.T.E.M. fields using a hands-on approach. It is the only robotics educational company to offer educational programs for the Smithsonian Institution in Washington D.C. Infamous Robotics works with George Mason University to offer Robotics Summer Camps for children on its Fairfax Campus as well as offering weekday programs, after school enrichment programs (Virginia and Washington D.C.) and coordinating robotics educational programs at the Smithsonian American History Museum, Smithsonian Natural History Museum, Smithsonian Air and Space Museum and the National Building Museum. Infamous Robotics received letters of support for their educational work from the Smithsonian American History Museum’s Lemelson Center, Congressman James Moran and was nominated for the 2012 Presidential Award for Excellence in Science, Mathematics and Engineering Mentoring (PAESMEM). The work in Robotics Research and Development is in commercial household robotics.